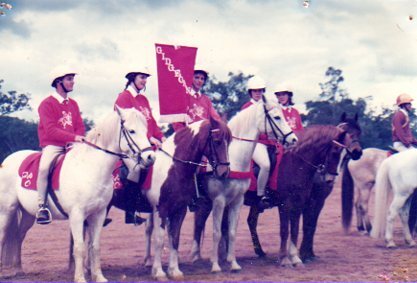 Gidgegannup Horse and Pony Club was established in 1968 and has steadily grown from its original 20 members to the thriving membership we have today. Our club caters to all levels of riders aged 5 to 25 years. We have a great team of experienced coaches who teach groups of up to 8 riders a variety of equestrian activities, including dressage, jumping, active riding, horsemastership and showmanship. Gidgegannup Horse & Pony Club is a not for profit organisation and is affiliated with the Pony Club Association of Western Australia, in the Hills Zone. Located at the Gidgegannup Showgrounds, we have a national standard cross country, numerous arenas, a fantastic stable complex, clubrooms and canteen. Each year, we run a number of events in addition to our monthly rallies, which are fundraisers for the club. These include the Gidgegannup CNC, two Training Days and the Gidgegannup Agricultural Show equestrian program. 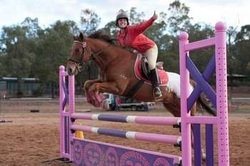 These competitions are open to all of our riders and Equestrian WA members.